Your Next Stamp April Release Sneak Peek! Hello! Tomorrow is new release day at Your Next Stamp and today the DT is sharing some sneak peeks! I made a fun little tag using two of the new dies-the Flower Fun Two Die Set and the Stitched Fishtail Tags Two! Don't you love these fabulous shapes?! For my flower, I cut it out twice with Black and then Pink cs. I adhered the flower to white cs and then cut it out. Now that I look at it, I probably should have adhered it to black cs LOL! The sentiment comes from the YNS set Mommy to Be and I stamped it onto a YNS Fishtail/Banner Die. 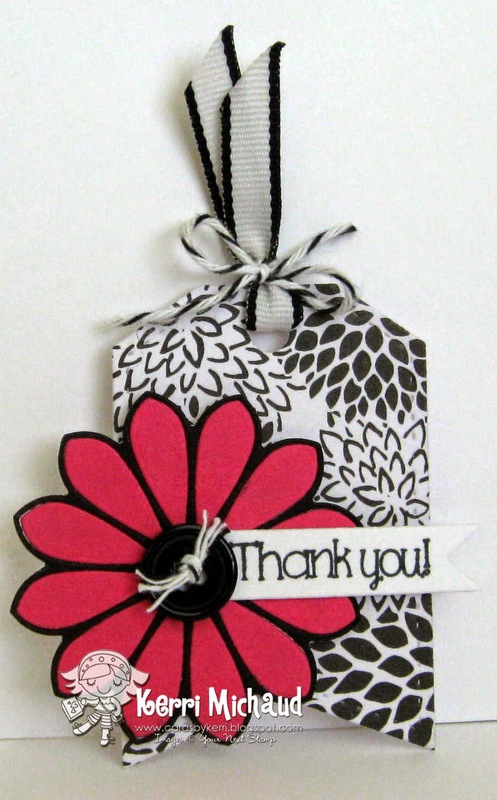 Check out the Your Next Stamp Blog for a list of designers who have peeks for you today:) Thanks for stopping by and have a wonderful day!